Leigh Community Art Group: LCAG Opens For 2015! Yes, we are open again from Monday 19 January 2015 at 6.30. We look forward to seeing all our old members and new ones alike. Remember you are always welcome to start regardless of ability and will be given any help you require or you can work alone as you choose. Normally we do not have tutored classes so it is a great way to meet new friends. We have a very relaxed approach to doing art with the emphasis on enjoyment, otherwise what is the point? Remember, everybody , no matter what their ability, had to start somewhere! 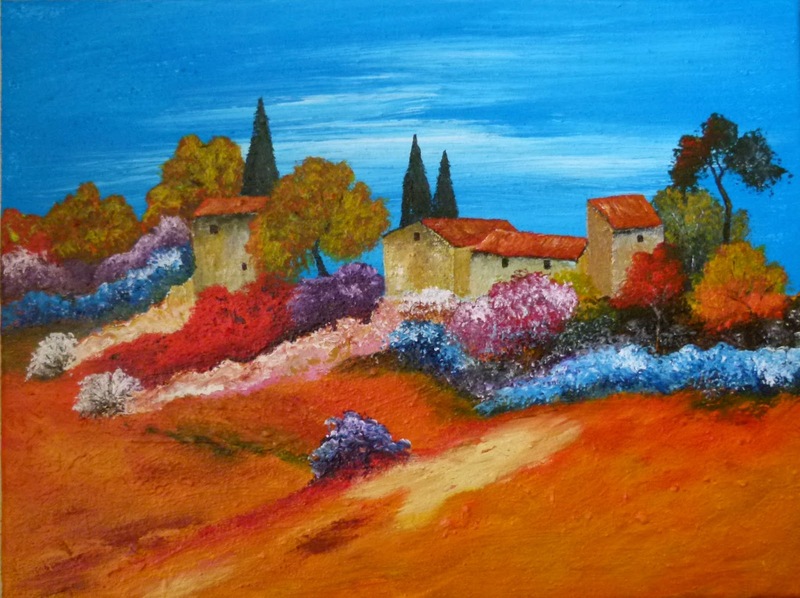 "Ferme Provencale", an acrylic on canvas by one of our members.